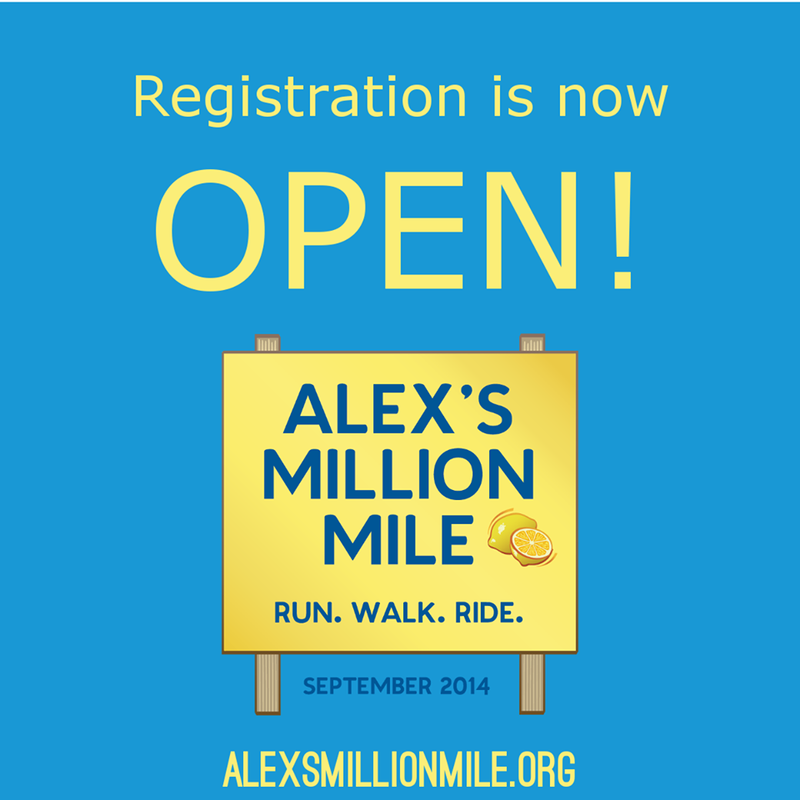 TWINS RUN in our family: Alex's Million Mile - Run. Walk. Ride. Alex's Million Mile - Run. Walk. Ride. Last year, we joined more than 5,000 people in the inaugural Million Mile Run event organized by Alex's Lemonade Stand Foundation to raise awareness of childhood cancer during the month of September (National Childhood Cancer Awareness Month). This year, we’re ready to do it again! To find a cure for childhood cancer, we’re going the distance to help Alex's Lemonade Stand Foundation reach one million miles. 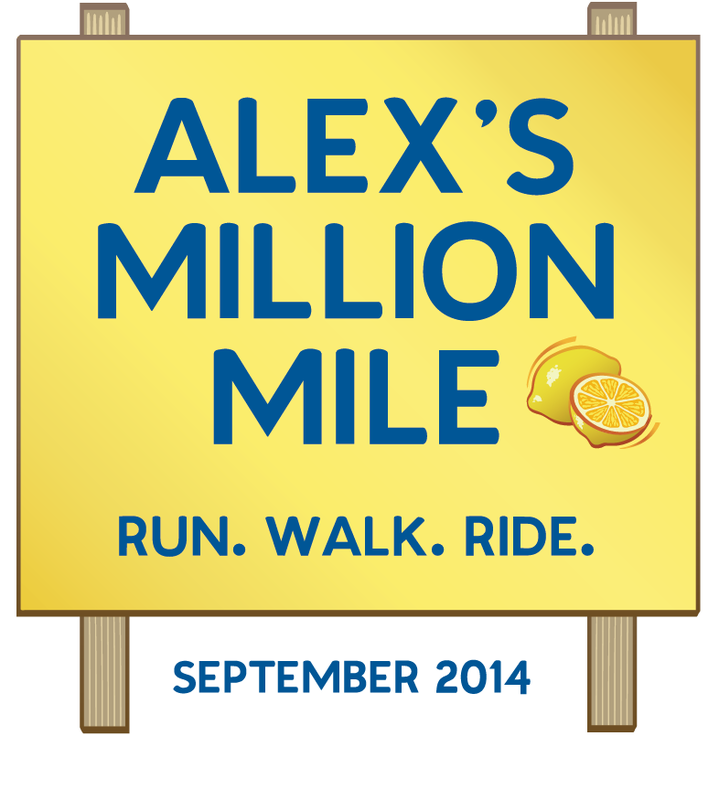 To incorporate walking and cycling miles, the name of this month-long event has been changed to "Alex’s Million Mile – Run. Walk. Ride." The goal is to collectively run, walk and/or ride one million miles to raise funds and increase awareness of the need to support childhood cancer research. If twins run (walk and/or ride) in your family, please join our group and log your miles with us. Or, donate $2 or more and help us reach our fundraising goal. Thanks for your support!